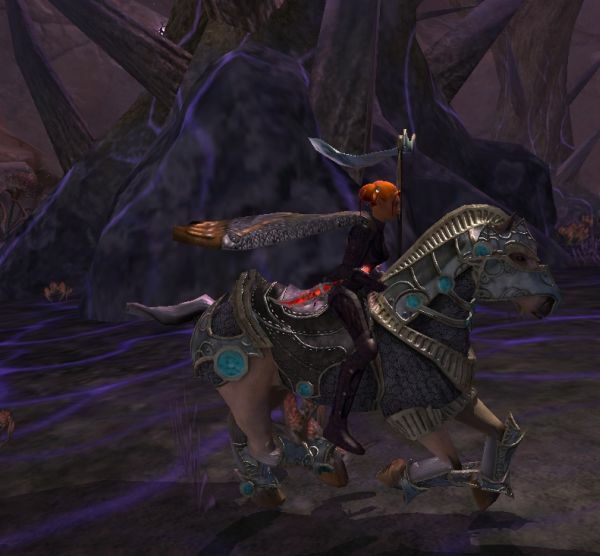 Exploring Anew #EQ2 #EverQuest2 – Nomadic Gamers, eh! Ah how things have changed. I’ve been spending a bit of time in EQ2 as of late – I know, big surprise right? It’s been a few years since I’ve played the game to any extent, but I found myself missing some of those game aspects that EQ2 does very well, such as crafting and housing as well as user generated content. Game Update 63 brought about a lot of changes, and so (of course) has time. The new level cap for both adventuring and crafting is 92. There are now ‘prestige’ points, which are in your alternate advancement tab but use their own point system. The cap for aa is now 320 – and everyone was granted a bunch of ‘free’ points because they lowered the amount of experience it required to get any. This means a few of my characters (without having even logged in) found themselves at 320 already. There’s still a few things I don’t understand. A lot of people are running a sinking sands Skyshrine dungeon for mythicals – and I don’t know what that means, but I’m sure I’ll figure it out with time. (Edit: huge thanks for the comments that cleared up the one mystery) There are new dungeons to explore, including a solo / duo one in Skyshrine (I believe). There are new crafting quests, and new crafting apprentices. I haven’t managed to pick one up yet, but I hope to soon. In a future game update players should be able to use their own characters to run player created dungeons, which I’m pretty excited about. One of the major turn offs at the moment for me doing a player created dungeon is the fact that the avatars are rubbish. I can solo them perfectly fine as a healer avatar, but not with anything else. They’re also quite boring to do alone. The rewards that you can use your tokens to purchase are also a bit lacking (imo). I hear that PVP is also getting an overhaul, much needed. I’m excited about that, I used to love running the pvp instances when they first came out. I’m not an enormous fan of PVP but some times you just get that itch. While everyone is off playing The Secret World (and let me tell you, temptation is hard to resist here) I’m eagerly waiting for Guild Wars 2 to come out. I’ve pre-ordered and can’t wait. Even though I should be working on my Guild Wars 1 achievements, I know. I did manage to get a few more missions done in it. I should really buckle down – but those distractions! They’re everywhere! @Zygwen ohh, I had not even realized that, hah! Thanks for clearing that up! SS also stands for Skyshrine. Mythicals drop in heroic Skyshrine instances. So they probably arn’t running Sinking Sands.